This is not THE SECRET. After reading THE SECRET, and after suffering its onslaught of quote boxes, I sought a book that spoke the same language, but in a more coherent manner. 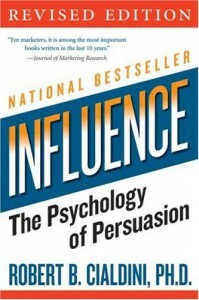 The top-rated negative review of THE SECRET suggested this book, INFLUENCE: THE PSYCHOLOGY OF PERSUASION. Nope. I get what that reviewer was saying: there is a section in INFLUENCE that talks about scarcity of goods, and there are some topics that may coincide with THE SECRET, but they are not one-in-the-same. INFLUENCE is the perfect book for a salesperson. The book goes into detail about the various, for lack of a better term, tricks used to get people to do things. The author uses several examples of religious sects or cults that utilize such things as social acceptance and reciprocation. I almost felt dirty at the end of each chapter—to witness the tactics to play on people and almost force them to work for our benefit. The redeeming factor was that each chapter had a section about how to say “no” to such tactics. This book feels dated. The writing style is that of early psychology, almost stream of consciousness. The author gives an example of being duped into buying cookies, returns to his office to have a meeting with his team on why he was duped, and then writes about it. A lot of research was done for the author to present his conclusions, but the book suffers from a lack of editing. It feels like it plods along. To my own fault, it may be because I just finished reading Malcom Gladwell’s OUTLIERS, where the cases are presented in an orderly fashion, building up to a point made. Versus this book, where the point is made, and the cases are presented ad nauseum. Overall, the academic reader may appreciate the variety of case studies presented in this book. 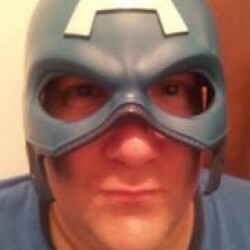 The salesperson will benefit from tactics used to “trick” people. Everyday shoppers may benefit to know those “tricks”. However, for someone reading for pleasure, it was a bit too long, without the benefit of a sense of purpose.